You are here: Home » GENRE » Fantasy » Game of Thrones season 6 trailer (slay-bells are ringing). Game of Thrones season 6 trailer (slay-bells are ringing). Is it that time already? The sixth season of the fantasy TV slayfest that is Game of Thrones is now been teaser trailed. Lovely. 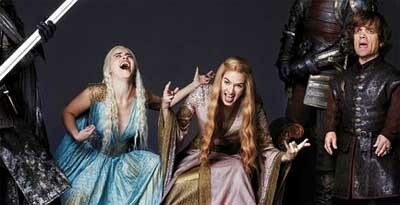 Game of Thrones season four trailer. « Hard Sun, scifi-crime drama from the BBC.